This move appeared in a 2-handicap game against one of my students (at that time). 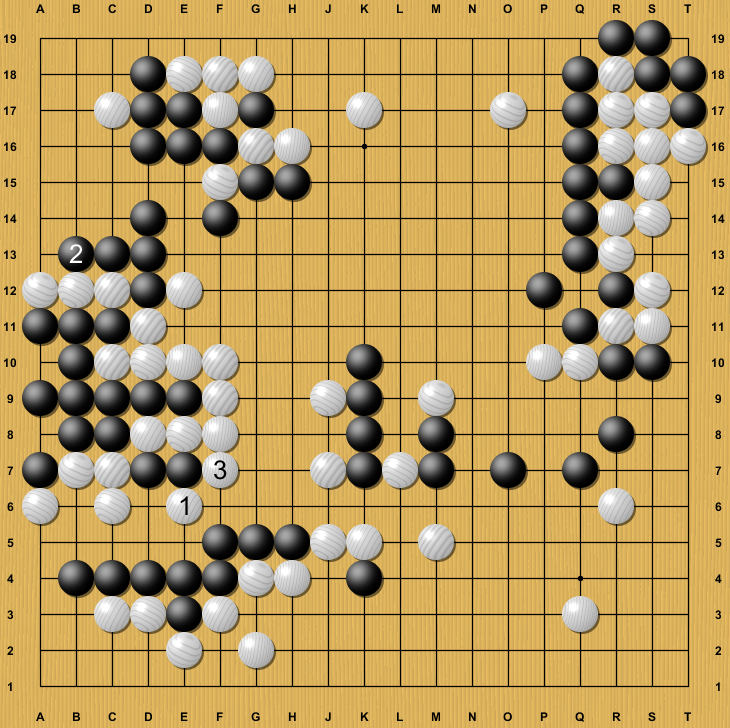 White’s turn. 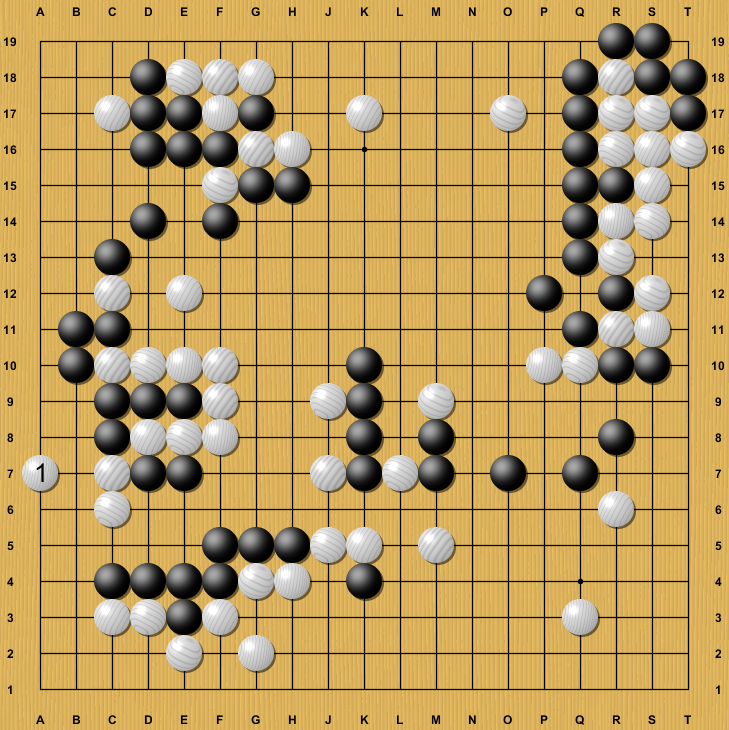 Can you find something to do for White? After 1 W revives two stones and as a side-effect cuts off the zero-eyed black serpent inside. 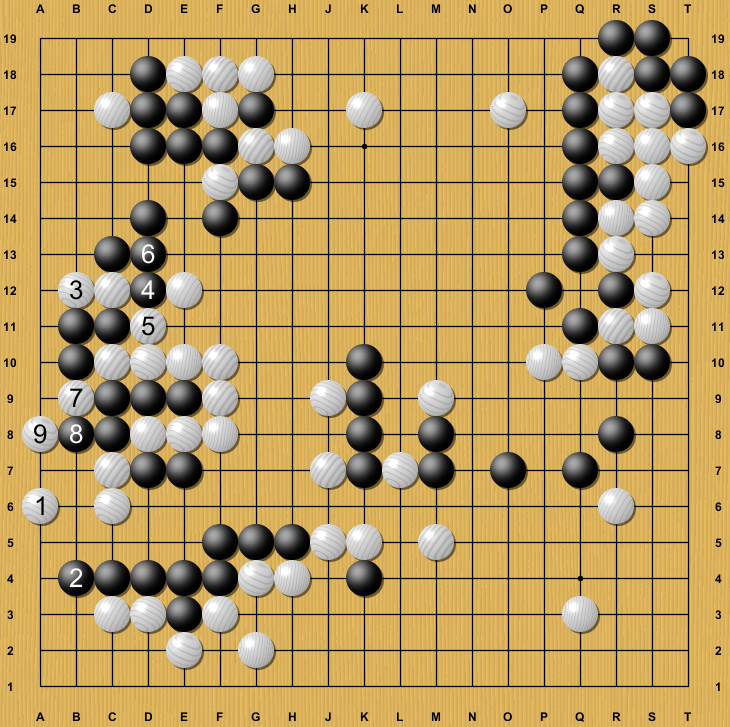 B prevents W from connecting under, allowing W to start a ko. W also finds a convenient local ko threat. But W has some more and black concedes the game. If B prevents ko, W can connect under and seal the fate of the black group. ….in this case W would lose the semeai by one liberty.